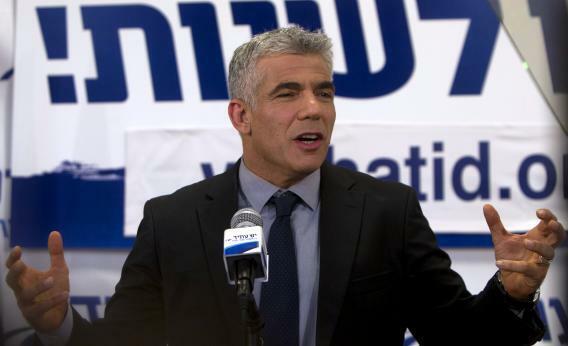 Yair Lapid's makers and takers: Yesh Atid party leader offers Israeli version of 47 percent critique. Photo by Ahmad Gharabli/AFP/Getty Images. It’s moochers and looters all over again, except in the Israeli context the moochers are ultra-orthodox sects who have large families, are exempt from military service obligation*, and divert funding streams away from secular education projects. * Correction, Jan. 23, 2013: The ultra-orthodox are of course exempt from the draft, not from “religious services” as I initially miswrote.